At the moment that we talk about the horoscopes, it is common that people only think about the Zodiac of the West, the one that is formed by Aries, Taurus, Gemini, etc. However and even that it is the most known horoscope in this region of the planet, you also need to know that there are other version that are also popular and that you may even have heard of. Get to know here a little more about the famous horoscopes and do not hesitate to investigate which is your sign in each of them. To start with it, without a doubt we need to talk about the west horoscope. This is the one that we all know and that it is compounded by 12 signs. These are Aries, Taurus, Gemini, Cancer, Leo, Virgo, Libra, Capricorn, Scorpio, Sagittarius, Aquarius and Pisces. Celtic Horoscope: This I very well-known. It has 23 signs in total which correspond to the holy trees. Another of the horoscopes that you need to know and that is also very well-known is the Chinese Horoscope. This has 12 signs but, instead of presenting each of the signs by month, what it does is to present signs by year of birth. 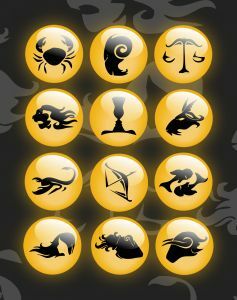 The signs of this horoscope are represented by animals. Also, there is the Egyptian Horoscope. This has 12 signs and they are represented by ancient gods of the mythology of this culture. Finally, we cannot finish the post without talking about the Hindu Horoscope as a lot of people use it actually. As other horoscopes, this has 12 signs that are known as Rashis.